Let’s talk blogging and vlogging! 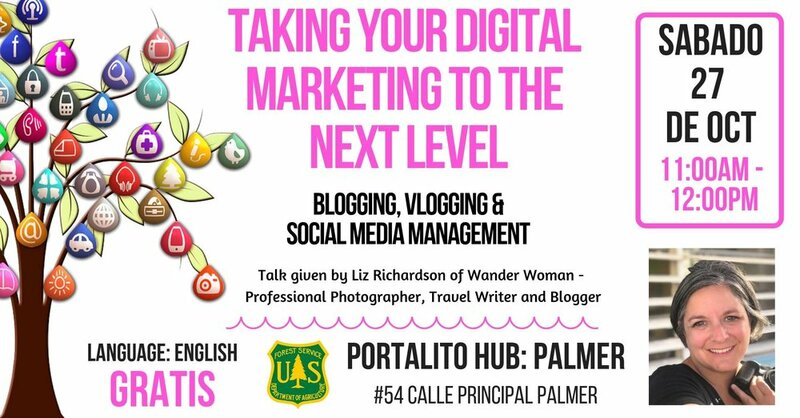 We will learn the basics when it comes to attracting people to your blog, getting your information out there and how to tell your story! This event is FREE and open to the public. 1400am talk radio interview with Mike Wallace. So excited to talk about Puerto Rico and what this incredible island has to offer. We have everything here from crystal clear oceans to magnificent rainforest with everything in between. It’s the perfect time to visit Puerto Rico. This years World Tourism Day focuses on the digital transformation in the tourism industry. I can’t wait to talk abut the impact digital technology has had on my life as a traveler. We will also talk about how to tell your story through blogging!